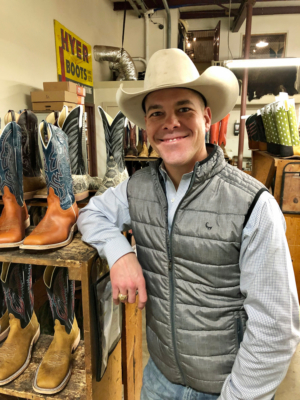 From his catbird seat of an office, Ryan Vaughan oversees three brands of boots that are made and crafted by hand every week at Rios of Mercedes. 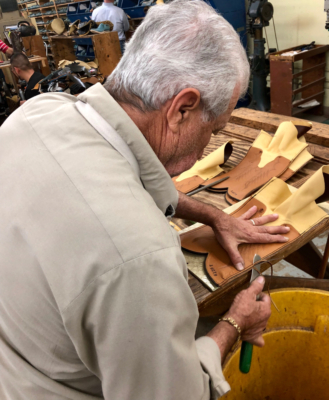 The iconic Rio Grande Valley company traces its roots back to Zeferino Rios, the father of boot making in the region. The three companies operating under one extended roof today at Rios are continuing that legacy – and doing so under the leadership of Vaughan. The Weslaco native had a lengthy tenure as the Rios general manager before recently being elevated to the posts of president and chief executive officer. The two longtime owners and partners of Rios of Mercedes – Trainor Evans and Pat Moody – have groomed and developed Vaughan for the leadership position he holds today. They say he was more than ready to take the top leadership role of a company that ships out 170,000 pairs of boots annually from its Mercedes facility. It’s a generational change the company is embracing. When Vaughan makes his way across the assembly floor, he looks and points to longtime employees he knows by name, and from memory, can cite the approximate years of service each has with Rios. The company’s 130 employees are specialists and experts at what they do. Making a boot by hand is a complicated venture involving stitching, hammering, cutting to precise specifications and stretching leathers by feel and measure with precision. 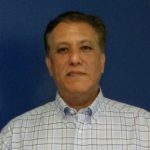 No employee is as important to Vaughan and Rios than Arturo Jilpas, the production manager who over nearly 40 years has worked his way up from sweeping factory floors to running them. Jilpas said the transition to Vaughan’s leadership of the company is a progression of a business built on family values, citing examples of fathers and sons working together at Rios, as well as the example set by ownership. “There’s not too many companies where you can talk to the owner personally, and know he will listen to what you have to say,” Jilpas said. Vaughan oversees a multifaceted operation. The Rios boots brand is the high-end product line of the company. These boots are entirely handmade with the highest hours of labor devoted to the product. Just across the way are the boots made under the brands of Anderson Bean and Olathe Boot Co. Boots from these lines have considerable handmade qualities as well, but are made a bit more quickly than Rios boots, with fewer options, and cost-wise to the consumer, are at lower price points than Rios boots. 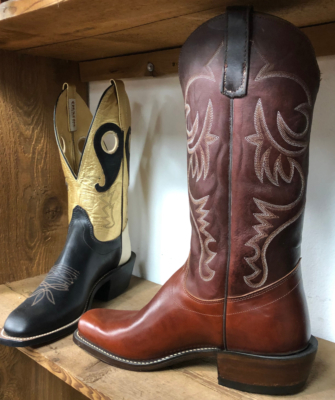 Rios of Mercedes also has a partnership with a Mexican boot company and ships out 100,000 pairs of the imported boots to go with the 70,000 pairs made locally. “Our heart is in making stuff,” Vaughan said in the midst of a busy factory floor where the Anderson Bean and Olathe boots are made.